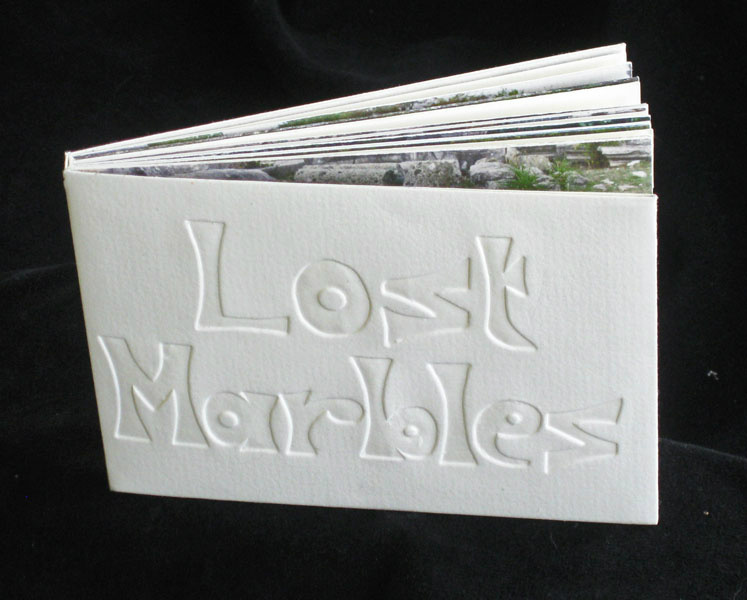 From a series of artist’s books on the theme “lost”. In popular tourist locations in northern Greece, fragments of carved marble litter the ground near ancient buildings. Archaeologists cannot hope to identify the age, original purpose and location of every fragment. These are truly “lost” marbles. Of course, “lost marbles” has another colloquial (and arguably politically incorrect) meaning. Do these stones no longer know what they have done in the past?